The option you choose should be determined by the overall amount of belongings that you want to move and also how far you have to move them. Moving the entire contents of a house is probably best handled by a reputable removals company like AK Storage Sheffield (we do removals as well). A smaller property such as a flat, or if you are moving from a furnished rental property, will give you the options of using either a ‘man and a van’ service or hiring your own van and getting a few buddies to help out. How much do I need to move? The size of the van you require will determine whether you need a removals company or not. If you’re using a local removals company, the best way to get estimates is for you to contact them directly and ask for them to come over and do a survey of your property. They will work this out by cubic feet and distance to relocate (access may also be considered). How far to your new location? Can the entire move be completed in a single journey? Long distance moves will not be cost effective if you’re having to make multiple journeys. But if you are only moving a few streets away then it should not be a problem, and hiring your own van would probably be the cheapest option for this scenario. If you are moving by yourself this is important. What happens if your items don’t quite fit? Do you make another trip? How much will this add to the cost? Do you know any friends or family who could transport the excess? When it comes to time, a few buddies helping out could be the difference between being able to move or not, and whether relocating yourself is cost effective or not. Removals companies and ‘Man and van’ services should include a level of insurance cover on your items included in the cost, but always make sure that you check the small print. Find out precisely what is covered? What happens when damages occur? Is this level of insurance provided enough to cover your personal valuable belongings? 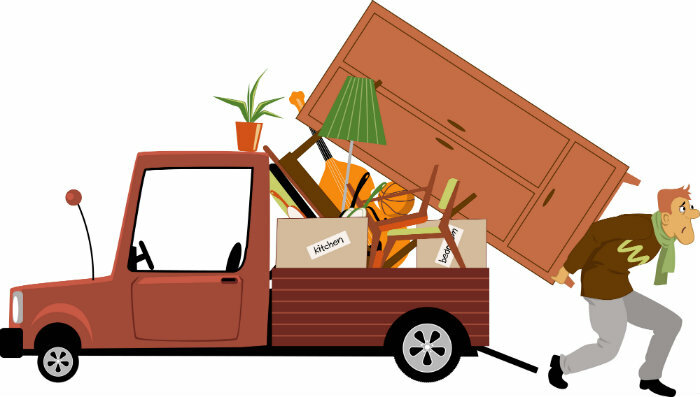 If moving by yourself you need to know whether your existing house contents insurance will cover the relocation process? Here at AK Storage Sheffield we will go through all the insurance details with you prior to any move. Will you be needing any storage? Here at AK Self Storage in Sheffield we are finding more and more people are not prepared to risk losing out on the sale of their current property just because they have not yet found the right new property that they wish to move into. So they tend to move into rented accommodation while continuing their search and placing the bulk of their belongings into storage with us.